Scar creams are very effective at slowing down the production of collagen, which can be extremely beneficial for those that have scars from cuts, burns, surgical incisions, auto accidents, or sports injuries. It can give those with unsightly scars the smoother, more even-toned skin that they’ve always dreamed of. By 2022, scar treatment products are expected to surpass $19,562 million as a large number of people look for effective scar treatments on the market. By 2025, that number is expected to grow to 34.5 billion dollars. BioThrive Sciences is proud to offer exceptional scar cream manufacturing. With over 20 years of experience in supplement manufacturing, we help our clients grow their business with our start to finish services. Discover how we can help you create a custom scar cream formulation. At BioThrive Sciences, our scientists have the ability to turn your custom formula into an effective scar cream product. Through our private label manufacturing services, your product is then fixed with one of our custom design labels, making it unique to your brand. The great thing about BioThrive Sciences is that we offer start to finish services. This means we handle the entire process of scar cream manufacturing, including, packaging design, marketing, product fulfillment, custom formulations, and more. Not only do we have the experience creating and building the bestselling formulas, but we are committed to providing our clients with the best possible customer service. 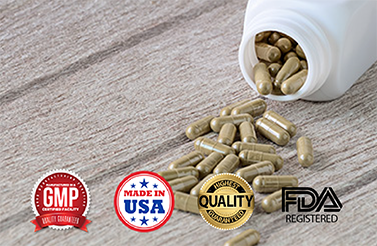 All of our products are FDA regulated and made in the United States. However, we are happy to handle the fulfillment of your product and will happily ship your product overseas. Whether you are looking for assistance to create a custom scar cream formula, or already have a formula in mind, our team at BioThrive Sciences is happy to help. You’ll love our fast turnaround times, competitive rates, and unwavering commitment to customer service. Contact us for a free consultation and to learn more about our scar cream manufacturing services at 1-844-263-3657 or send us an online message today.